Take part in (or host your own) food, clothing, or diaper drive. Help provide clothing at an affordable price for someone struggling to make ends meet. You can collect gently-used clothing and drop it off 24/7 at the blue bins in our main parking lot. 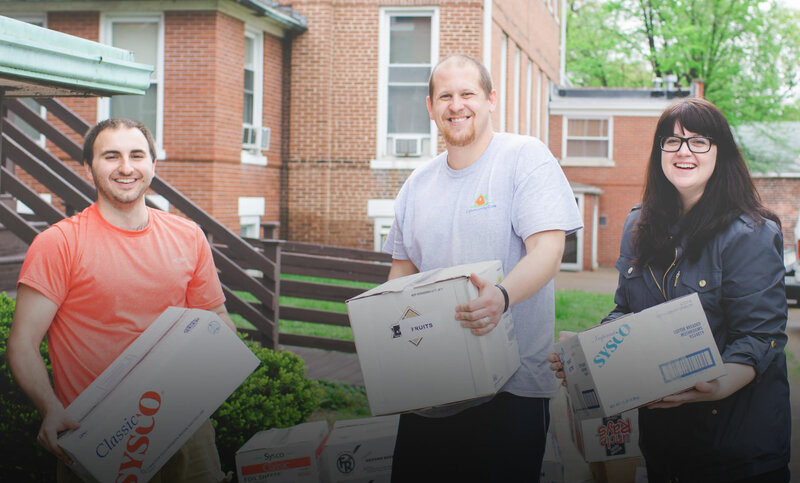 Help supply the Food Co-op to help someone move forward on their journey out of poverty. Collect food items and drop them off during normal business hours. See our list of recommended items. You can help provide some of the 10,000 diapers given out each month through Parenting Rewards. Collect diapers anytime and then drop them off during normal business hours. Want to host a drive? Have questions about taking part in a drive? Contact us to learn more.